Roger Federer defeated Gael Monfils 6-3, 4-6, 6-4, 6-1 in 2 hours & 10 minutes to reach the Quarter-finals at Roland Garros for a record 11th time. 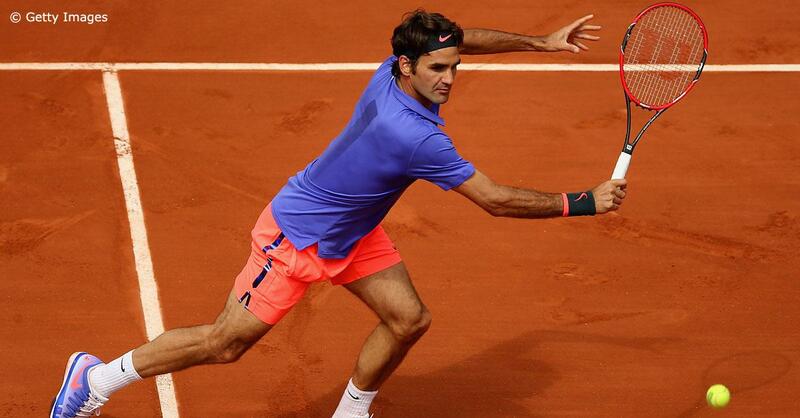 Roger Federer needed just 63 minutes on Monday to clinch his 9th victory over Gael Monfils in their 13th meeting. The 4th Round match had to be stopped on Sunday evening because of bad light with both players having won 1 set each. 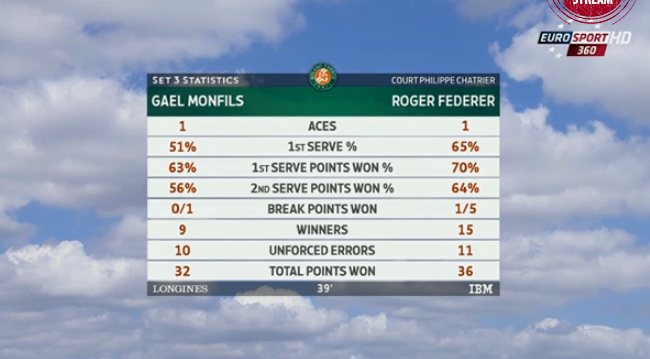 Federer broke Monfils service in the opening game of the 3rd set and like yesterday's 1st set, raced to a 3-0 lead in the 3rd set. The Frenchman fought back, but Federer served out the set in the 10th game. Monfils's game looked lucklusture in the 4th set. He even called a doctor during the changeover. 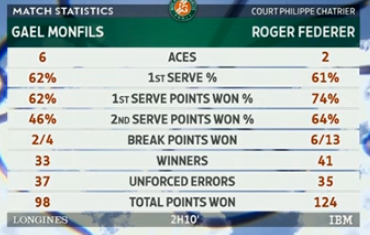 Federer broke Monfils service in the 1st and the 7th game to comfortably win the 4th set 6-1. Federer will face Wawrinka in the Quarter-final on Tuesday with their match being the 2nd match of the day on court Suzanne Lenglen. Federer leads the head to head 16-2. Scroll down for more pics, video highlights, interview quotes & more insights from the match. They did show a fair bit of Nadal's match however and I was impressed by young Jack Sock, who did well to win a set. Fingers crossed for the QF tomorrow. Let's hope that today served as a good warm up for Roger and he will step onto court feeling fresh and ready to cope with what Stan will inevitably throw at him.